BULK PRICING does not come in individual packaging. 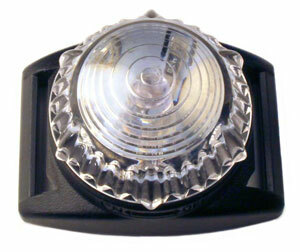 The Guardian base and lens are extremely high impact resistant and the ultra bright LED is rated for over 100,000 hours. The Guardian is waterproof to a depth of 300 feet (90 meters) and will work flawlessly in conditions from -40 to 122 0 F (-40 -50 0 C). A variety of handy options are available that can be used to attach the Guardian to almost anything. Note: Photo above shows 5 lights you are buying the specific quantity you are purchasing - lights are being sold individually. NOTE: Bulk does not come in separate plastic wrapping packaging, but they all come in one bulk bag.